I am not sure if Glenn Earlam, the chief executive of David Loyd Clubs knows, or cares, that Laura Massaro, one of his members at the David Lloyd club in Chorley, has won the British Open twice and also a World Open title. He is currently executing a plan to remove squash from the majority of the David Lloyd clubs in the UK to use the courts for a new fitness circuit called Blaze. Several clubs have already seen their squash sections closed, or reduced from three courts to one, making it impossible to run viable programmes or host teams playing in county leagues. Most leagues insist that member clubs have a minimum of two courts. Squash Mad first reported on this back in February, when courts were closed at David Lloyd Milton Keynes, despite the men’s first team being top of the Bedfordshire League. Subsequent court closures across the country have resulted in numerous communications from squash enthusiasts who are furious at the loss of squash facilities. Glenn Earlam is not on Twitter. That’s a shame, because if he was he would have seen the barrage of messages from squash players, including many of the world’s leading professionals, who are baffled by the prospect of losing so many courts to make way for an untried fitness fad. Nick added another Tweet in which he offered to front a campaign to try to persuade David Lloyd to change their mind about further court closures. David Lloyd have been reluctant to join in the debate. An email from me to their Media Director went unanswered. Their only response to the Twitter storm was a message claiming that the decision to close courts was down to club managers, and nothing to do with Head Office. So, we are led to believe that all these managers independently (and simultaneously) thought of a new fitness circuit, all came up with the idea of calling it Blaze, and all thought it would be a jolly good idea if they held them on squash courts. Well, the integrity of that claim by a 12-year-old running the David Lloyd Clubs Twitter account lasted approximately 30 seconds, before members of their premises in Gidea Park, Essex, responded to the contrary. Other members reinforced this message. Since then, I have received numerous messages from players and coaches at a variety of David Lloyd Clubs across the UK. They all tell the same story, that David Lloyd are deliberately closing down courts and running down their squash operations to make way for Blaze. One well-connected player suggested that this might have something to do with David Lloyd Clubs negotiating a contract with the government to provide community fitness programmes. I have written to the Sports Minister, Tracey Crouch, and to the elusive Mr Earlam, for clarification on this point. I would be grateful if you could shed some light on the introduction of the new Blaze classes being introduced by David Lloyd Clubs and the damage this is causing to the sport of squash. As editor and publisher of the Squash Mad website (www.squashmad.com) I have received numerous communications from squash players who are deeply upset at the prospect of courts being taken over for the introduction of the new Blaze classes. I know you are not on Twitter, but this week a large number of squash enthusiasts have Tweeted their support for a campaign being launched to save the squash courts at your Gidea Park club in Essex, where an outstanding young coach, Niall Engerer, has almost tripled the squash membership. 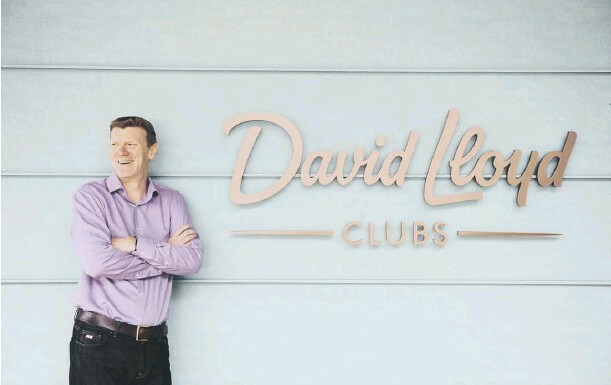 In all of the Twitter traffic, there has been one response from David Lloyd Clubs, claiming that the decision to close courts is taken at local level by General Managers. This was immediately shot down by members who quoted your staff as saying that they were merely reacting to instructions from Head Office. I understand that several thousand squash players will no longer have access to the courts at David Lloyd Clubs because of the introduction of the Blaze circuits. Can you please confirm how many courts nationwide will be affected, including those already closed in the past year? 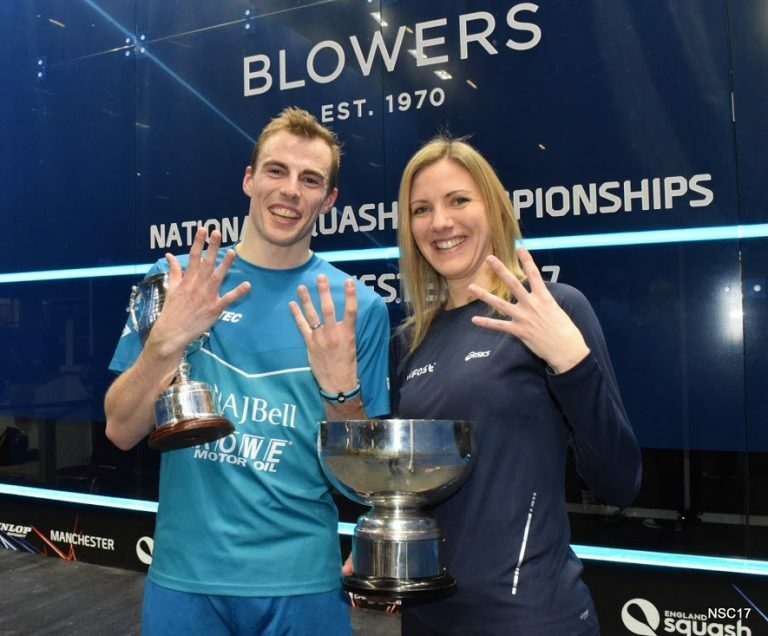 You may be interested to know that England’s three-times world champion Nick Matthew is offering to front a campaign urging you to reconsider your decision. Nick is copied in on this email, as is Sports Minister Tracey Crouch and Keir Worth, Chief Executive of England Squash. I understand that David Lloyd Clubs has received significant government funding (in the region of £53m so I am told) to undertake projects to improve health and fitness in the communities where you operate. Squash has regularly featured in a variety of medical surveys as one of the very best sports for health, fitness, weight management and life expectancy. Add racketball to the equation (a sport growing in popularity among older squash players) and you can begin to understand why the squash community is bitterly upset by the decisions you are taking. They run contrary to the knowledge of the health-giving properties that squash and racketball have to offer. Lying to those players on Twitter is a very disappointing response from a company of your standing. I would appreciate a statement for publication to explain your decision to David Lloyd squash enthusiasts and the wider squash community. Laura Northeast is leading a campaign to save the courts from closure at Gidea Park. She, too, has written to Mr Earlam. Here is their exchange of emails. I have been a member at David Lloyd Gidea Park for 12 years. It is a superb club and I have spent many happy days there with my family, averaging at least 4 visits per week. Recently the squash community and I were dismayed to hear that our courts will be replaced for the new Blaze facility. On hearing this I did some research and came across an interview (link below) where you discussed customer experience and embedding values and your responses gave me confidence that writing to you would be worth a try. The squash area has always been utilised by a group of loyal players but In April 2017 a new coach came to the club and turned the three previously less used area of squash on its head. Niall Engerer, a former England junior International, gradually introduced a 10-weekly session programme, 30 competition dates (link), established a junior section of 25 players (who attended the London Youth Games at Crystal Palace) and squash members increased from 70 to 200 in 18 months. We have literally dragged some of these juniors from their iPads into competitive sport! They are devastated at this news. Having been in the Sport and Exercise sector for many years (I’m a University lecturer in Sport and Exercise Science) finding a coach of similar charisma, motivation and drive is a rarity – the only time I’ve seen anything close is at the Evert Academy in Florida where world -class coaches are cherry picked to support the best players and rewarded with a good salary and accommodation in a beautiful hot location. Niall does this here without any such rewards apart from bounds of intrinsic motivation and desire to help others. Niall’s inclusive programme attracts juniors (from my daughter aged 5) to players in their 70’s. World champion players from the sport’s leading country, Egypt, including Tarek Momen, Karim Abdel Gawad , Raneem el-Welily and Mohammed Abouelghar have travelled here to play. When Niall’s programme started to flourish, he and many other members repeatedly asked for a little recognition for squash and Niall’s achievements via promotion and support for expanding this success story further. Niall wishes to keep a positive relationship with the DL so I will speak for him by saying I think his efforts have never been acknowledged or communicated to higher levels. Perhaps if they had, this would have been recognised and supported instead of it coming to this point, where a thriving Squash community with enormous potential will be removed. I am not at all anti the Blaze concept, just anti terminating squash. I am also a huge tennis fan but there are many more courts than squash and some tennis courts are often unused at peak times (see attached photo examples – 6pm Wednesday night 1/8/2018 – this is a fairly typical sight). Could a tennis court or other alternative to place a Blaze studio please be considered? I also noted that you visited the Kingston club to speak to members and staff regarding experiences and ideas, during which the simple but brilliant idea of offering fruit water emerged! I strongly believe that if you would agree to visit us here, the club coach and a few of our squash members would convince you that squash has further enormous potential which we would work tirelessly to push forward. Would you consider visiting the club and meeting with us to discuss how this could be satisfactorily resolved? Thank you for your email. The Club team and our property teams are in the final phase of the planning process and the local team will communicate this further once completed. I do appreciate that if the decision to remove 2 of the squash courts at our Gidea Club goes ahead, it will be extremely disappointing for the squash playing members who have used this facility over the years. I am very grateful for you sharing yours and your fellow squash player’s successes and stories over the last year or so. Niall has clearly made a significant contribution to the sport at the Club and again, I fully appreciate this will mean many of these opportunities will no longer be available. I do assure you, this difficult decision won’t be taken without due consideration given to all that you have described and what we already know. Nor will it be taken without thorough exploration of alternative, viable options and locations for the Blaze studio. We do need to evolve as a Club and ensure we maximise the space that is available for our members to use, doing the types of activities that the majority tell us we need more of. We also have to evolve as a business, constantly reviewing our Club facility offering and taking into account the change in activities within the fitness and racquet worlds both nationally and within the Gidea Park Club change. Darren Manly, General Manager and his team will be communicating the plan in the coming weeks and will also be on hand to answer any further questions you may have about Blaze and the future for squash at David Lloyd Gidea Park. Thank you for your invite to come along to the Club, whilst I am travelling extensively over the next few weeks, I will be sure to let you know when Gidea Park is in my diary to visit.